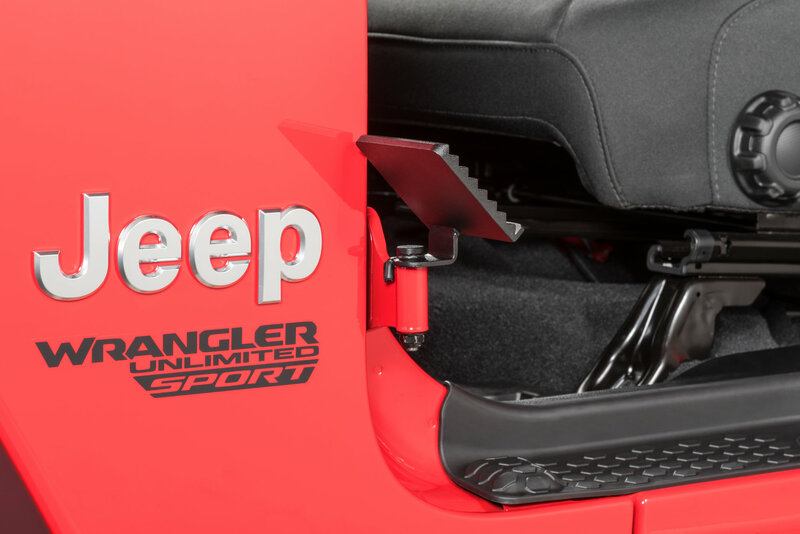 JL Compatible: This Foot Peg Set is specifically designed for the Jeep Wrangler JL. They are compatible with both two and four door models, and all trim levels. Heavy Duty: These Foot Pegs use a 100% steel construction with fully welded hinge pins. Corrosion Resistant: Fishbone Offroad finishes their Foot Pegs in a durable gloss black powder coat that easily holds up to kicks and scrapes without chipping or scratching. Complete Kit: Unlike other manufacturers, Fishbone Offroad sells their Foot Pegs in pairs. Along with hardware, they also include rubber bumpers to avoid scratches and paint damage.